I photographed this purple orchid in my photography studio. 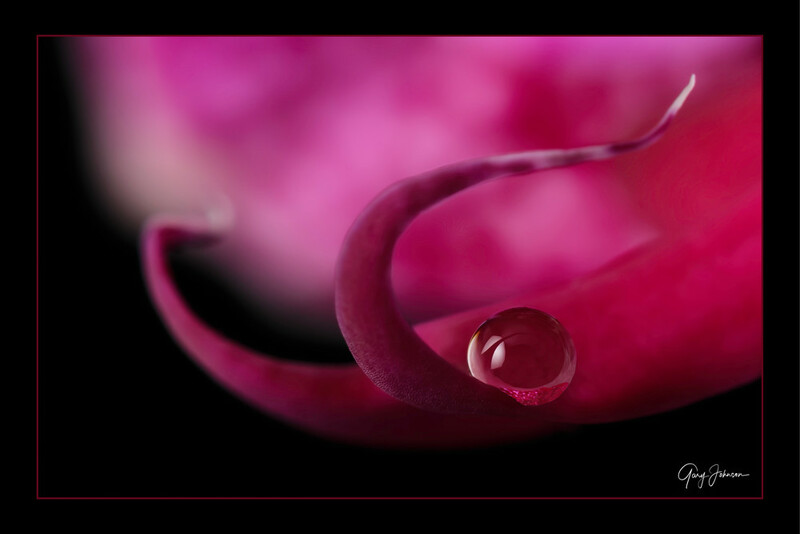 I used a dropper to place water on the petals. I saw this tiny water droplet and photographed it with a macro lens.